With the NFL season over for all but four teams, most organizations are already in offseason mode. Obviously, the Bears do not need help on the defensive end. They were by far the best defense in the league and it wasn't even close. Offensively though, Chicago has a few question marks. Even with offensive mastermind ​Matt Nagy, it was clear throughout this year that ​Mitchell Trubisky can't be successful with the weapons he has at the moment in the wide receiving corps (which is really only ​Allen Robinson when healthy). 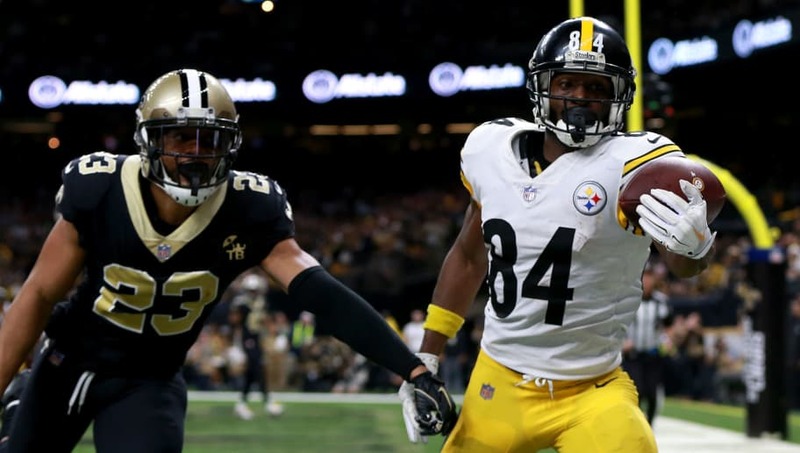 To solve the Bears' offensive woes, the team should court disgruntled ​Pittsburgh Steelers wide receiver ​Antonio Brown. Ever since sitting out of the Steelers' Week 17 matchup against the ​Cincinnati Bengals over disagreements with ​Mike Tomlin and ​Ben Roethlisberger, Brown has been on the trade block. While the Bears would have to give up key players and high draft picks for Brown, the chance to nab an All-Pro receiver in his prime happens only once in a blue moon. This current Chicago team is one of the best the Bears organization has had in years, and in order to take advantage of that, general manager Ryan Pace needs to make a run at Brown. Adding Brown to the Bears would make Chicago one of the most feared teams heading into next season and immediately make them Super Bowl contenders.